While what we believe and our understanding of God’s purpose for us comes from the Bible, how Good Shepherd approaches ministry is shaped by our Vision and Values. Reach and transform spiritually distracted families in our local community so they come to know and love God. Good Shepherd is a God-centered, encouraging and joyful place where: people are authentic, relationships are caring and kids matter; worship is passionate, teaching is relevant and prayer is intentional. Face it. We’re all spiritually distracted from time to time. Whether it’s work or school, families or finances – it seems there is always something capable of distracting us from a meaningful relationship with Christ. While Good Shepherd can’t promise to eliminate distractions from your life, every aspect of our ministry is focused on helping all of us put those distractions in perspective and handle them better. Why so focused on our local community? 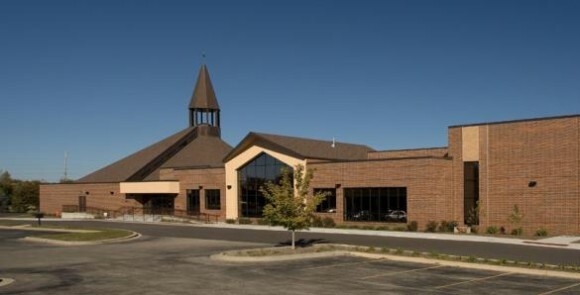 Research shows that 60-70% of the people in Naperville and the surrounding communities don’t have a church home. It stands to reason that many of these people also don’t have a relationship with Jesus Christ. We believe that’s why God has placed our ministry where it is today. Good Shepherd is focused on serving the spiritual needs of our local community and on leveraging the time, talents and financial resources of people in this area to help others in our community, across the nation and around the world.